Chennai Gives The Traveller a Hand-Crafted Experience of The Archaic And The Modern. 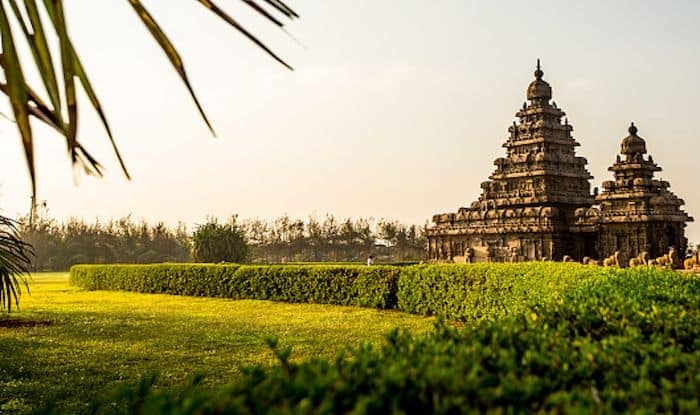 The capital of Tamil Nadu – Chennai, previously known as Madras, is considered as the Gateway to South India, and for good reason. It is culturally so rich and vibrant that you’d be overwhelmed at the amount you can experience here. Even a short stay in this ancient yet metropolitan city is sure to engulf you in the southern culture and the arts. If all you have is 48 hours on you in this city, here’s how you can make the most of it. Start your first morning here by grabbing a cup of their delicious filter ‘Kapi’ (coffee). Then head out straight for a drive along India’s longest natural urban beach – the Marina Beach. It will be a relaxing drive; but you will also get to see numerous monuments of interest such as the Anna Memorial, MGR Memorial, Labour Statue, Subramaniya Bharati Statue, and Kannagi Statue. Right at the end of the promenade is the old lighthouse; remember to get to the top for a stunning view of the bay. Pay a visit to the San Thome Cathedral – one of the most visited churches in south India. It has an interesting architecture; it was first built in the 16th-century by the Portuguese explorers, and then later rebuilt in 1893 in a Neo-Gothic style. For a sumptuous breakfast of fluffy idlis and crispy dosas, head to Rayar Mess, a 70-year-old eatery on Arundale Street. What’s a visit to Chennai without a trip to the famous Kapaleeshwarar Temple, dedicated to Shiva and Parvati in Mylapore. It’s perhaps one of the finest specimens of Dravidian architecture. Another ancient but magnificent temple the region is famous for is the Parthasarathy Temple of Triplicane (dedicated to Krishna). Explore the bustling streets of Mylapore; from flower stalls to souvenir shops, from snacks on display to wooden artefacts, the place is perfect to get the feel of old Chennai. Then there’s Pondy Bazaar – a bizarre combination of brands, malls, and street vendors selling everything under the sun. Don’t miss out on a visit to Nalli, best-known for its Kanjeevaram silk sarees. The best way to spend an evening in Chennai is to relax at Panagal Park after a hectic day. Sit and soak in the sights and sounds of Chennai here, and indulge yourself with a string of jasmine flowers and munch on raw banana fritters and tea that the vendors will bring you. You may have visited pubs and bars in most cities; but try something different in Chennai. Catch one of the famous Carnatic concerts or Bharatanatyam recitals at Music Academy – a well-known cultural institute in the city.